I’m glad to welcome back novelist Thomas Burchfield, who also contributed The Power of Persistence in Indie Publishing. Here’s his tale of evolving along with the whole self-publishing scene. Since I entered independent publishing in 2010, the landscape has been shifting like landfill in an earthquake. What seemed like ripping ideas last April now seem to rattle and rust like a 1912 Model T. Will the independent publishing field ever settle into a stable, recognizable shape? Or, will this world continue to shake itself into a torpor where everyone gives up and returns to the quill pen? The Universe never rests. Especially when it’s digital. Take the issue of e-book distribution. Early in 2010, as I dipped my toe into this roiling sea, I found two avenues of distribution—Scrib’d and Smashwords. I could upload my manuscript to both sites and set a price to download it. Both companies pocket a small percentage from each copy sold; not a bad deal, really. With Scrib’d, along with my books, I have what amounts to a semi-personal web page. In addition to my first novel, Dragon’s Ark, I now post the work I share at the Red Room and on my official page at Blogger: publicity, essays, and articles, related and unrelated, to my book. As on those web pages, I can control my public image. I don’t have control over the page’s design. Like my Red Room page, it’s formatted much like everyone on Scrib’d. Scrib’d does not distribute my work to e-book stores, such as Amazon Kindle—they allow Word, PDF and Powerpoint docs only. Still, Scrib’d is a helpful, if clumsy, mosh of publishing outlet and social media. It’s not too difficult to raise a flag and draw visitors, though my own Scrib’d page view stats fluctuate wildly, from the dizzying heights of Lady Gaga’s to the flat-line of President Nixon’s [Flavorless] Barbecued Chicken Sauce. (OK, I made up the Lady Gaga part . . . but Nixon’s sauce is truly bland). Still, I just might find my own work jostling right above a new Stephen King excerpt on the “What’s New on Scrib’d” page. Not too bad a neighborhood to hang a shingle in, for now. As for Smashwords, I’ve recently taken down both my books from their site. My reasons relate to three issues: location, distribution, and exposure. At first, Smashwords seemed advantageous. I uploaded an old and very entertaining screenplay of mine, Whackers, in January 2010. I designed and created my own thumbnail cover, formatted the book to their specs, and uploaded it. They ran the manuscript through their “Meatgrinder” software to reformat it for all the major e-readers, then distributed it to all the major e-book retailers. This passed without incident, though I had the odd feeling parents experience when they allow their children to wander alone down a fog-bound mountain trail. Whackers immediately sold one copy (as did Dragon’s Ark). It never sold another (ditto the Dragon). It eventually reached 256 partial downloads. And there it stayed. Before long, I forgot about it for weeks on end. At 256 partial downloads, Whackers seemed to have found its substrate. Further, I found the “neighborhood” uninspiring. On Scrib’d, you may, while visiting my page, clatter across the work of President Obama. If you’re the kind of discriminating wordsmith and storyteller in search of discriminating readers, like I am, this is encouraging linkage. Smashwords looms like the Largest Slush Pile Ever, an Everest-sized ant hill where, unless you’re an entomologist, Dragon’s Ark looks pretty darned much like every other ant. How does a discriminating reader dig through all that? Yes, lightning does strike the slush pile on rare occasions, but you’ll find better odds playing golf in a thunderstorm. It’s nothing to bet your artistry, hard work, and passion on. Meanwhile, independent publishing continues to evolve. When it came time to publish Dragon’s Ark, I turned to E-book Architects for formatting (with the guidance of our host Joel Friedlander). With E-B.A., the pub files were returned to me and I did the distribution. This cost around $150 and seemed worth it. For one, I got to see exactly what my book looked like in the two major e-book formats, unlike Smashwords. What’s more, when I actually uploaded my novel to the Amazon Kindle site, I discovered that the Smashwords Whackers, which I thought available on the Amazon Kindle, was nowhere to be found. Was this true of other e-stores? I’ve checked: so far, only the Sony Reader carried the Smashwords Whackers. I understood. To make their percentage, Smashwords needs for books to be bought exclusively through them. Fine, but this exclusivity seems to create a ghetto effect. My exposure feels limited. When I recently decided to re-release Whackers as an Ambler House publication, I found another twist in the evolutionary tree: BookBaby (again, thanks Joel). For a low introductory fee, they not only reformatted my Whackers files, they distributed them to the major e-book retailers where it is—and will be—visible for all to see. During this stage of production, the last bell sounded. Someone—I forget who—said that the e-bookstores don’t like to accept a single book through multiple distribution channels, an obvious point really. Why jam the doorway? It only makes me look desperate, the last face anyone wants to show, especially in this field. Moreover, I feel spread as thinly across the Internet as I want to be. That day, I visited my Smashwords dashboard and unpublished Whackers. Dragon’s Ark (25 partial downloads) soon followed. Meanwhile, both my books are on Amazon et al and I look presentable and feel connected to a wider world. That’s the evolutionary path of independent publishing, at least for me. I pick up a tool and try it for a while, maybe try it again. If it doesn’t work, I put it down and pick up another. There’s nothing wrong with that. It’s just evolution. One thing that I don’t think has been mentioned in this discussion so far is that BookBaby does not take a cut of your sales. We pass 100% of your net earnings back to you. We also provide simplicity, since you only need to upload your book one time and we take care of the conversion (to ePUB and .azw), multiple deliveries (to Kindle, iBooks, Kobo, Nook, etc. ), and meta-data. Then, when you have sales, those retailers report them to us and we display them all in one handy accounting area for you (so you don’t have to manage multiple accounts). We also provide some other services like advanced ePUB conversion, eBook cover design, websites for authors, etc. I agree – the ground moves beneath our feet at a breathtakingly fast rate. I’ve just uploaded my latest book to Amazon and just a year ago I wouldn’t have even considered it… Whatever next??? I hope you won’t mind (and if I do please tell/ remove this comment), but I wrote a post 2 days ago on my blog regarding what my view of Smashwords was (as a reader). It’s located at http://bit.ly/n3Yqo8 : I Love Smashwords, don’t you ? Checked out bookbaby pricing. $149 (but right now $99) one time cost PLUS $19/year? Think about that for a second. Touche, Ros. I knew that might come back at me . . . .
I’m willing to eat a small helping of crow in this discussion; nevertheless my concerns remain. The foggy fuzzy nature of Smashwords (and other sites like it) remains a concern with me. For certain writers, having to delve so deeply into the technology behind this new environment is very daunting. We are blind people on this elephant. It seems easy to get lost and wind up nowhere. I fully believe we get what we pay for and nothing is ever really for free in this dimension. I prefer to pay a professional an upfront fee, rather than an omnivorous aggregator, who picks up his fee on the back end and may be otherwise happy to ignore me. Perhaps my reasoning is soft and irrational. but I feel that by paying a professional like Bookbaby et al up front, I can expect a certain level of service *and* it helps establish a closer collaborative relationship, leading to a better book. Maybe Bookbaby, ultimately, will not satisfy, but the both of us will likely learn evolutionary lessons from the relationship. My webpage features numerous articles on my adventures in self-publishing and I’ll be adding more, so I invite you to surf over and yell at me there. Oh, also, I haven’t used Scrib’d a lot, but when I have come across it, it’s been in the context of illegally uploaded pirate copies of other people’s books. I’m sure there is lots of legit stuff there too, but I’d be nervous about having that as the primary location for my work online. Huh. The internet is a small world. I came across this blog via a tweet a couple of days ago and now I find you talking about my book! The answer to whether I’ve heard of Ros Clarke’s Reckless Runaway at the Racecourse is, yes, I wrote it. Sorry you don’t want your book to be associated with it. It hit the bestseller list at Smashwords primarily because the weekend I launched it was the end of the Smashwords summer sale, so I decided to have it available free for two days. Since then, the number of smashwords sales has been small but steady. It’s also great, as someone else pointed out, as a way of giving freebie copies to reviewers. The majority of my paid sales have come from the kindle version I uploaded to Amazon (US and UK) which continue to come in at a steady trickle. I never expected to sell a lot of books at the Smashwords site. I’d never bought any books there myself. The main reason I chose to use it was because of the option to list the book in so many different formats. If someone asks how they can read the book on their nook/Sony reader/PC/iphone etc. I send them straight to Smashwords. The distribution was a secondary, but also good, benefit. My book appears at Barnes and Noble, Sony, and Diesel ebooks and that’s great company for them to be in. It’s not at Kobo and I haven’t checked Apple. I never expected Smashwords to market my book for me or be a place where casual browsers would come across it. It is a way of getting my book distributed to other mainstream outlets and a way of providing potential readers with the formats they prefer. I’d recommend it to any self-publisher. I think your final comment about the future of technology in self-publishing is interesting: ‘I can’t help but think that soon authors will be able to ignore things like file formats and ePub encoding. These are areas that ought to be handled by technology, not by forcing authors to wrestle with their own technological limitations.’ I’m not sure what you mean that they ought to be handled by ‘technology’? They already are? But technology requires human users. There’s always going to need to be some way of getting files from a writer’s hard drive to an ebookstore. I do think there’s room for improvement in the ways that’s currently handled but it’s always going to require an author to use the technology that makes it happen. Great to hear from you. I totally agree about Smashwords, particularly when you use their service the way it was meant to be used, as you have outlined. I think you confused the author of the article with me, the host. I’m the one who said it ought to be easier, technologically. When I first started using PCs almost everyone who owned one also owned a little tool kit in a case, with a chip puller, different drivers, and things for taking the bolts out of the expansion slots. You had to have one. Thanks to all commentors for amplifying this discussion. Smashwords does not yet distribute to the Kindle store but I’m sure it’s only a matter of time. Last I looked, Mark Coker was estimating that they will publish somewhere between 70,000-90,000 books this year and it’s hard to ignore a catalog of that size. 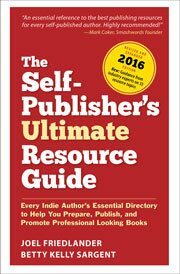 All the companies mentioned by Thomas are doing incredible things for indie authors, and are advocates for self-publishing in general. Every vendor or distributor has its advantages and disadvantages, which is not surprising. The increased competition in e-book distribution looks to me to be a good thing overall for authors, as companies will continue to enhance their offerings. On the other hand, the whole chain of events Thomas describes in his post, and his own actions in response, point out how young and unformed the e-book sales and distribution business is. Many, many authors I talk to are completely baffled by the whole world of e-publishing, and many have not yet digested how exactly print on demand works. This is reality. We are in the “hobbyist” stage of technology here, and I can’t help but think that soon authors will be able to ignore things like file formats and ePub encoding. These are areas that ought to be handled by technology, not by forcing authors to wrestle with their own technological limitations. I agree on the comments made by others on Smashwords. My best sales have been through Apple via Smashwords. It helps to keep up with site updates on Smashwords, then you know what new bells and whistles are being added and understand what the distribution model is and how they are constantly improving it. I also uploaded to Amazon separately, since Smashwords and Amazon have been dancing around negotiations for over a year (always an “almost” deal, then Amazon backs off again). I had heard less than enthusiastic comments about Scrib’d, so it’s good to hear that someone has had positive results. I’m discovering that a positive review on Amazon can bump sales. And the cumulative effect of having a free “best of” e-book available in every e-bookstore is starting to bring a percentage of people who want to come back and buy the books I have for sale. I think the stories of fantastic sales (especially in fiction) can distract writers from understanding just how new the infrastructure for e-books really is and how long it may take to generate a steady flow of income. 2010 seems to have been the turning point, but it’s early days for the industry. It’s still building, and, as J.A. Konrath says, it’s a marathon, not a sprint. Seth Godin recommends ubiquity (get your e-books in wherever you can), so my plan continues to be to make my titles available in as many places and formats as possible (I like Smashwords for most of my distribution because it has worked for me). And as formats and distribution evolve, I believe it’s good for every author to look for new and improved ways to make their e-books available. First off, I love the graphic. Made me laugh. I admire your ability to evolve and move to new distributions. Experimenting with this business is a must. Thanks for the heads up with bookbaby. I do agree with others, however, that perhaps you were confused about Smashwords. Its services have always been separate from the Kindle. To me, your description of it being the world’s largest slushpile is about accurate. However, let me tell you what I do like about smashwords. To begin, if you follow the instructions and get accepted into their Premium Distribution program, your book goes directly to Sony, B&N, Apple and Kobo. This saves me a ton of time going to each of those different vendors. That said, my sales through those vendors have been dismal. However, that doesn’t reflect on Smashwords. Next, Smashwords does all of this for free until I make a sale and then they take a small portion. Other servicecs (like bookbaby) require money upfront. I especially like Smashwords for it’s professional look (I think the book pages look great) and it’s simple coupon system. When I contact blogs and others about reviewing my book, I offer them a free copy of the book. If I were to send them to Amazon to get my ebook, I would have to pay for a coupon to give to them and then there is the possibility that the person could use that coupon to purchase any book (not necessarily mine.) That’s right. Coupons on Amazon or just for a set amount, not a certain book title. With Smashwords, I generate a coupon for my book (for free) and then send that coupon to those blog reviewers. If they own a Kindle, ipad, Kobo, sony, etc, it doesn’t matter. They can download any type of e-book format on my book page to fit their needs (including an html version.) I’m not out a cent. Have I sold a ton of books off of Smashwords? No. Has Smashwords helped me in marketing my books? Absolutely. How much have I had to pay Smashwords to do this for me? Practically nothing. Can’t beat numbers like that. Lois, I didn’t know that about Amazon coupons. Thanks for the heads up. My first novel has been on Smashwords for almost two months now, and I’ll probably be adding it to Amazon soon. Hello Everyone: Thanks for reading. Tony & Catana: When I look at my old Smashwords page (as I just have: https://www.smashwords.com/books/view/9295), I see the Kindle listed there as a format to which it was distributed. I would assume–possibly incorrectly–that it would be distributed through Amazon. If it’s possible to be distributed to the Kindle without appearing on the Amazon, then I was wrong and must admit the error. I have to admit to being quite a snob and extremely discriminating in what I read and I tend to seek readers of the same temperament. It’s pretty easy to “find something to read” anywhere, especially these days. To find something special, unique, “literary” if you will, is quite a chore and I honestly don’t see that the Smashwords system of letting everyone in for free makes it any easier, both for the writer struggling to get his book out there and for the finickier-than-average reader. It also creates a tremendous amount of white noise creating a serious signal-to-noise ratio problem, an issue with publishing through the Internet. The average book-and-mortar store–not mention the New York Times et al–still does a better job of guiding and pointing readers in directions they want to go. Karen: BookBaby is OK so far. They were a little slow in getting my book distributed, but that may be because they’re brand new and going through growing pains. They’re setting up an “Authors Page” feature, which I have yet to sign up with myself. We’ll see how they–and the rest of the field–evolve. I hesitate to predict anything because–like in nature’s evolutionary process–there’s always surprises. Lots of them. Cheer and thanks for your comments again. If you visit my web page, you’ll find more articles I’ve posted about my experiences as an independent writer/publisher. I still see two problems here. First, you’re confusing distribution with available formats on Smashwords. Your book would have been available in mobi format (unless you unchecked that option), and could be read by anyone with a Kindle or the Kindle desktop app. Quite independent of Amazon. Second, you’re still blaming Smashwords for something that’s just as true for Amazon. “I honestly don’t see that the Smashwords system of letting everyone in for free makes it any easier, both for the writer struggling to get his book out there and for the finickier-than-average reader.” Amazon’s system is exactly the same. As long as your book is properly formatted, you can publish it as an ebook on Amazon. The amount of tripe there tells me that there’s no difference in quality between the two sites. Indeed, many writers publish on both. I’m not arguing that you move back to Smashwords, because you’ve apparently found a satisfactory way to gain widespread distribution at a cost you’re willing to pay. Just don’t trash another site on the basis of misinformation. There are thousands of writers doing very well using Smashwords as one of their distributors, despite the company they keep there. There is also a premium distribution (which is extremely easy to ‘qualify for). On the left hand side of your dashboard is a ‘Distribution Channel Manager’ link, where you can opt in to Barnes & Noble, Sony, Kobo, Amazon (as mentioned before, not set up with SW yet), Apple (within a week of submission! ), Diesel and Scrollmotion. I’ve been seeing words around that say that BookBaby is adding Kobo distribution soon, though I don’t think there has been an official announcement yet. It certainly is an evolutionary process. As a brand new novelist, I’m experimenting and finding my way, and trying to be flexible about what works and what doesn’t. But some of your statements are puzzling. Smashwords has never distributed to Amazon, so it was a bit unrealistic to expect to find your books there. You say “Smashwords looms like the Largest Slush Pile Ever,” and go on to ask how anyone can make their way through it. In exactly the same way they make their way through the slush pile that is Amazon. How many people simply browse through thousands of books, hoping to find something to read? They make choices based on recommendations and reviews. If Smashwords doesn’t work for you, that’s one thing, but to discard it on the basis of error and assumptions is another. I do think that Smashwords has its place, mainly as a great spot for those who sell short stories. Typically larger sites like Amazon just don’t work out well for a single shortstory. If you are really looking to get your book formatted, you might try out some of the freeware software that is available on the internet. Learn to format it yourself and then create a template. That way you can have a sameness to all of your works. I’ve heard mixed reviews of BookBaby. How long have you been dealing with them? Do you currently recommend them over Scribd? The landscape definitely is shifting, but I’m confused about your Smashwords comments. They don’t distribute to Kindle (and are up front about that). I placed my books on Amazon myself. Piece of cake. Maybe because I’m not based in the US, but my options are limited when it comes to distribution. Smashwords has given my limited sales – but they have distributed my ebooks to Apple bookstore, nook, kobo, Sony, and those sales, while nowhere near the level I need to retire, have been okay.